Emily’s verse, stitched on pillows in her home and posted on her website, is John 9:1-3, which reads, “As he passed by, he saw a man blind from birth. And his disciples asked him, “Rabbi, who sinned, this man or his parents, that he was born blind?” Jesus answered, “It was not that this man sinned, or his parents, but that the works of God might be displayed in him.” Though tithing is anything but a new concept within the church, even today it remains a controversial one. Tithing means relinquishing control – not just of a couple hours of our time on Sundays but of something so many of us hold in higher esteem than even God himself: our finances. One of the biggest fears of every American is a loss of security – of being unable to take care of ourselves, provide for our own needs and, even worse, of no longer being able to support our families and our children. In our effort to prevent this devastating worst-case scenario from happening, we justify our actions and our decision not to tithe by affirming that our own survival is more important than obeying this seemingly trivial commandment. This is the story of a little girl, Emily Shanahan, who taught her parents a lesson on faith. Through her obedience, Christ has shined through her in such an amazing way, and has transformed her parents’ view of tithing and of God’s ability to provide in such a greater capacity than they ever could have imagined alone. 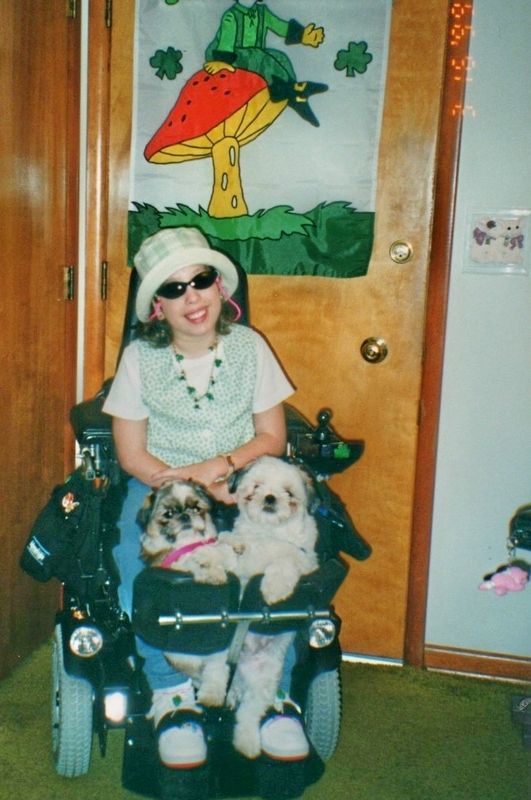 Through this family’s emotional and financial struggles, the Shanahans have sought solace in owning Shih-Tzus throughout the years, though for several different reasons had a hard time keeping one in the home for more than two years at a time. At this point, the family had been through five different Shih-Tzus and was wary of getting another dog, but with time to heal and a decision soaked in prayer, Barb and Tom agreed to allow Emily to save for a Shih-Tzu. At nine years old, Emily had been saving coins from her math teacher and from her grandpa and had finally saved $275 for a puppy. A date was set, relatives were expected to come into town for the occasion and the family couldn’t have been happier. As the pick-up day approached, however, Emily continued to hear messages focused on tithing and overheard the need for giving to pay for a new children’s wing at the church they were attending at the time. Six days before it was time to pick up the puppy, Emily asked that her father tie her savings to her wheelchair before church, and announced on the ride there that she would be giving her savings to the church instead of buying a puppy. Barb was furious. All of the prayer, hard work and emotional preparation for a puppy was seemingly for nothing. Though her mother protested, Emily had made up her mind. While Barb and Tom attended church that day, Barb was convicted over her attitude toward her daughter that morning. In the middle of the service, she got up and pulled Emily out of children’s church to apologize. “Mommy, wouldn’t it be better for the Lord to provide for the puppy than for us to do it on our own?” Emily said. And though the future was uncertain, Barb knew that her nine-year-old daughter was right. Though Emily was confident in her decision to give her savings away, the days before the old pick-up date were still very hard. After two days had passed, Barb decided to take Emily to the mall as a distraction, and ran into two people who gave her $75 for a children’s video that Emily had filmed earlier and had just been released. The following day, two other checks totaling $250 arrived in the mail as praise for the same video. Another coin collection arrived in the mail from her grandpa on Friday, bringing Emily’s total to $325. Unbeknownst to Emily or her parents, puppy pick-up day not only went on as planned, but had an even happier outcome as Emily had enough money to take two puppies home that day. 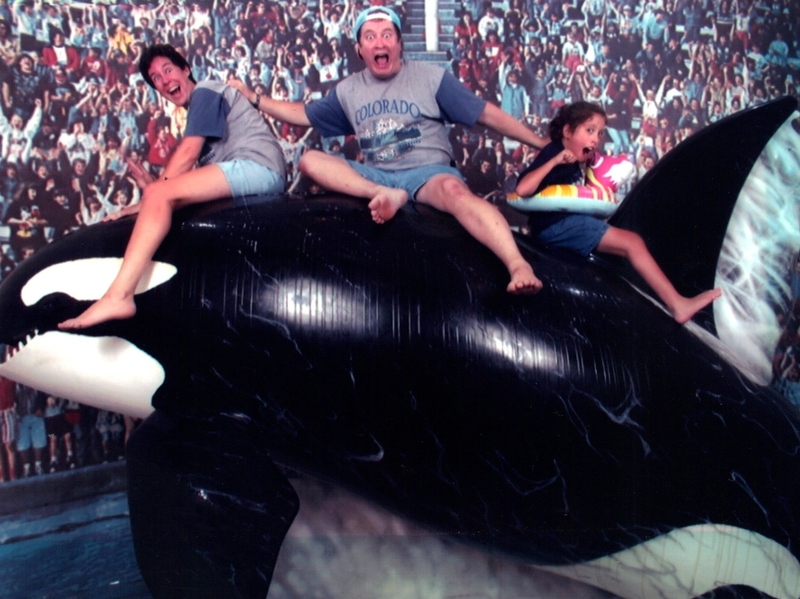 Because of a tight budget, the Shanahans had to cancel a family trip to SeaWorld in 1998. Their friend, Crystal, set out to win the family tickets to SeaWorld over the radio anyway – and did. The money they were going to spend on a hotel was also lost, but a family they knew from church had recently moved right next to SeaWorld and offered their home to the Shanahans overnight. They were able to enjoy a family vacation for next to nothing. In 2001, Tom needed open-heart surgery and Emily needed another surgery for scoliosis, putting the family $16,000 in debt. Tom’s mother visited for a weekend to help Barb take care of things around the home and asked how she was doing. Barb shared, and with no room for protest wrote her a check for $20,000 – enough to cover their debt and allow for a little wiggle room while the family healed. Emily, whose future seemed so uncertain, has completed her Bachelor’s Degree from Cedarville University and is working on her Master’s Degree in Non-Profit Management. She is a motivational speaker, and has inspired so many people with her Christ-like attitude. When asked about how she has been able to stay so hopeful, she replied, “There is a purpose to the brokenness – to bring glory to God.” And she continues to do that each and every day, to say the least. For more information on Emily, please visit www.meetemilyshanahan.com. May we all be able to have the faith Emily has exhibited from such a young age and continues to show today. How great is the God we serve, and how futile our efforts are without Him. Imagine, if he asks only for ten percent of our earnings and works these kind of miracles, what he could do with more if we only surrender it. For are not His plans for us so much more perfect than our own?